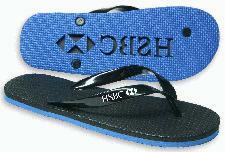 We’re quickly approaching summer so it’s time to promote your brand with Promotional Flip Flops. You and your customers will have the most attractive feet on the beach with the corporate promotional item. The branded flip flops come in a range of sizes (S, M, L) and are a brilliant method of brand exposure, even when you’re away from the corporate world. The sole and strap of the product come in a variety of colours and your business details can then be printed on them both in up to 4 spot colours, perfect to show off your brand’s logo in the summer sun! Check out our ever growing range of fun Promotional Summer Products that we now have to offer. For more information or enquiries on our Promotional Flip Flops, fill in the form and we will get straight back to you.